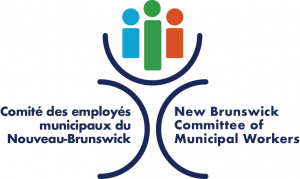 New Brunswick public sector workers’ wages do not go as far as they did 10 years ago. For years, the government has tried to hold a pattern of wage restraint that has set our members back. Averages of 1% increases per year over several years, and sometimes no increases at all, has meant going back in real dollars, since cost of living increases have been significantly higher. Most public-sector workers have a weaker purchasing power now than they did 10 years ago. Workers are finding it harder and harder to make ends meet. Living from paycheck to paycheck is not sustainable. As New Brunswick’s largest union, with 27 000 members, we must act to raise the collective purchasing power of workers. We will always bargain forward, not backwards. Our plan will give locals the tools they need to fight back against wage concessions and two-tier bargaining. If a collective agreement provision is not good enough for us now, it’s not good enough for our future members either.